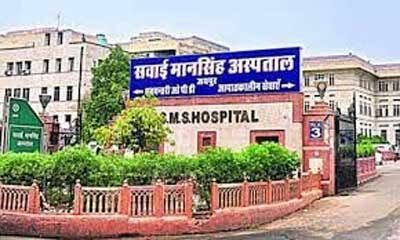 JAIPUR: In a nice gesture of solidarity between the medical community, doctors from Institute of Liver and Biliary Sciences(ILBS), New Delhi will help the Sawai Man Singh (SMS) hospital’s doctors to conducted their first 25 liver transplant at the SMS hospital premises. In the month of February 2017, Sawai Man Singh (SMS) hospital performed its first liver transplant with the help of Institute of Liver and Biliary Sciences liver transplant experts. For conducting the first liver transplant in the SMS hospital, ILBS had sent a 15-member team of doctors and other staff expert in liver and other organ transplant headed by liver transplant expert Dr Viniyendra Pamecha. With the help and guidance of the Institute of Liver and Biliary Sciences’s experts, the SMS doctors will learn about safety and other technical details of liver transplant. The guidance will help the doctors in future to handle the complicated cases.